If your horse is coughing, wheezing, sneezing or suffers with an allergy or condition like COPD, the chances are that you’ll be looking at ways to help support his respiratory system. It’s important to note that while coughs and sneezes can be attributed to dusty hay, bedding or allergies, they can be symptoms of more serious conditions. With this in mind, it’s worth consulting your vet about your horse’s respiratory health if you’re worried. If you’re looking at ways to help support the respiratory system, we have an exceptional range for you…. Herbal help? 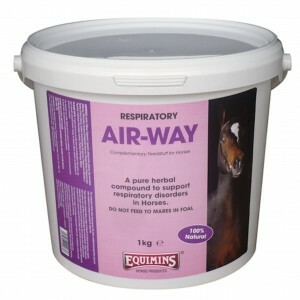 If you prefer the herbal approach, have a look at our Air-Way range. We have a liquid and dried herbal supplement available, all packed with herbs chosen to help maintain a healthy respiratory system. To soothe the respiratory tract and aid airways, check out our Air Power Booster. This natural product contains honey, cider apple vinegar, aloe vera, menthol, eucalyptus oil and lemon juice and should be administered by oral syringe up to twice a day as needed. Clear Breather helps to support lung function. The MSM (a bioavailable source of sulphur that’s important to lung tissue) and hesperidin (a natural bioflavanoid) work with ascorbic acid to promote blood circulation to the capillaries to help support clear airways. 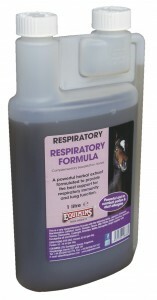 The latest addition to our respiratory range is Respiratory Formula, and it’s been a real success since it launched. It combines herbs with eucalyptus oil and vitamin C in an easy to feed liquid that helps to support respiratory immunity. 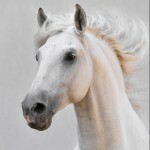 It can also be fed to horses with dust allergies, to help support lung function. …and don’t forget good old garlic! We have powder, granules, flakes and even a liquid! To find out more, see our respiratory range…or contact us if you need extra information.